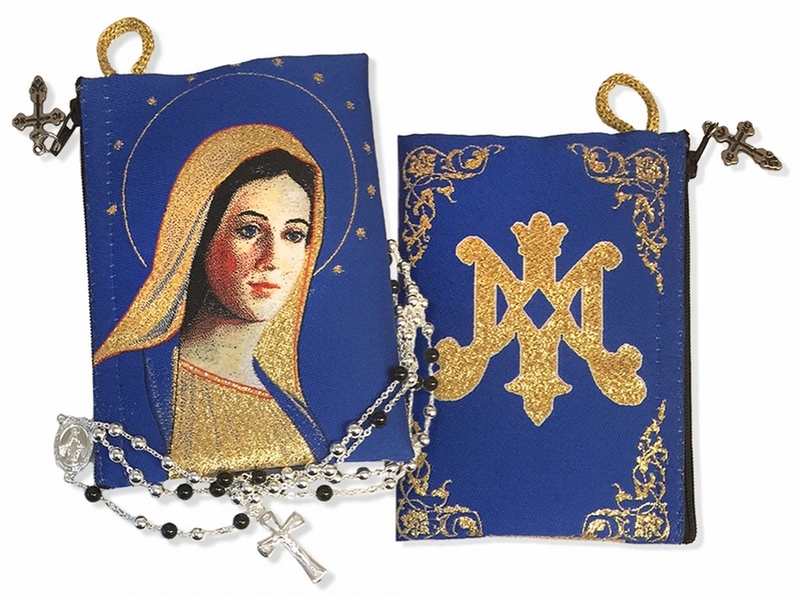 Our Lady of Grace, 2 Sided Rosary Pouch Case with symbol of Virgin Mary on the back side. The case lined with a zipper for closing, is perfect as a Rosary or Prayer Rope case. SIZE: 5 3/8" x 4"
The pouch is pictured on both sides.